← What about your previous company non-compete? What if you are the seller of a previous business or shares amounting to more than an insignificant percentage of a previous business? Certainly, the buyer’s asset purchase documents included a non-compete clause, usually valid for two years from the date of the closing. And because there was consideration paid to you in the sale, that clause is binding upon you and is effective almost everywhere. What if the buyer abandons your previous product? That does not change their purchased rights to it. What if you invent a substantial enhancement or change to the product? As long as you did not use patented processes or trade secret material from your previous company, you should be protected, but you might be prepared for a fight. [Email readers, continue here…] How about after the two-year limitation in your non-compete agreement? Just separate confidentiality from non-compete, and obey the confidentiality clauses, which do not expire. 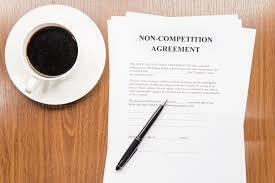 The non-compete agreement does expire when stated. But watch it. 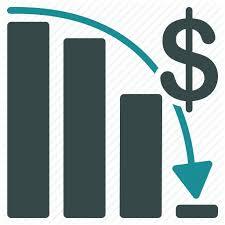 Some clever buyers try to slip in an unlimited non-compete, and some courts have upheld this. And there are gray areas for former key employees who signed a non-compete with a limited life as part of the sale but remained on with the buyer for some time thereafter. Does the non-compete start anew upon the departure of each continuing employee? Courts tend to apply only the reasonableness standard to these gray area cases, looking to see how much the person now competing gained from the original sale. The safest advice is to avoid using any materials from the previous company, and compete only after the expiration of any written agreements or clauses signed with the buyer. Many entrepreneurs have new and better ideas for a similar product and wait out the non-compete by watching the clock. Others find opportunity in repurchasing rights to your product from the buyer who has been disillusioned by low sales from your product, or distracted by taking an alternate strategic path during those years. If you are one of those watching the buyer’s success or failure with your baby over those first years, you will need to decide if you could revitalize the wayward business, or start over with a new, better product with non-obvious advances and without using any of the technology from your previous product. Many have done one or the other with great success, but only after analyzing the lessons from failures by the buyer. This entry was posted in Depending upon others, Protecting the business, The liquidity event and beyond. Bookmark the permalink.